With its own shopping center, business offices, and top rated schools, unincorporated Carolina Forest is one of the most popular communities in Myrtle Beach. Ever growing, it is made up of a number of subdivisions that are not only family friendly but great places to retire and to invest in real estate. Midway between Conway and Myrtle Beach, the Forest is a short drive to the beach and the Grand Strand via highway 501. One of the newest neighborhoods in the Forest is Summerlyn. The builders, Benchmark Communities, are featuring eleven floor plans to meet any budget or lifestyle. Three and four bedrooms homes, ranging in size from 1,153 sq. ft. to 2,224 sq. ft., start at $160,990 and are quality construction you will be proud to pass down from generation to generation. Benchmark Communities homes offer great features like vaulted ceilings, hardwood floors in the foyer, 30” Birch cabinetry, Energy Star Kenmore appliances, full length vanity mirrors, and much more. There is a community clubhouse and swimming pool and several ponds that provide picturesque water views. The Carolina Forest Recreation Center is less than a mile away. The Tanger Outlet center is an easy 10 minute drive. Lowes Foods and the Ocean Bay Elementary and Middle School are only about 3 miles away. If you are looking to build a home in a community that is family oriented with great schools, far enough from the city to avoid heavy traffic and noise but close enough for convenience, you have found it! 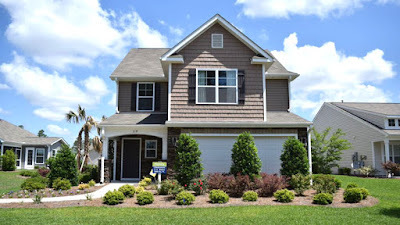 To learn more about the new homes for sale in Summerlyn –Carolina Forest call us to day.